Everyone at some point in their lives goes through a lavender phase. I remember mine was in jr. high and into high school where most of my clothes, and my room, was covered in various tones of lavender. It is such an easy color to love and looks great on a variety of skin tones. 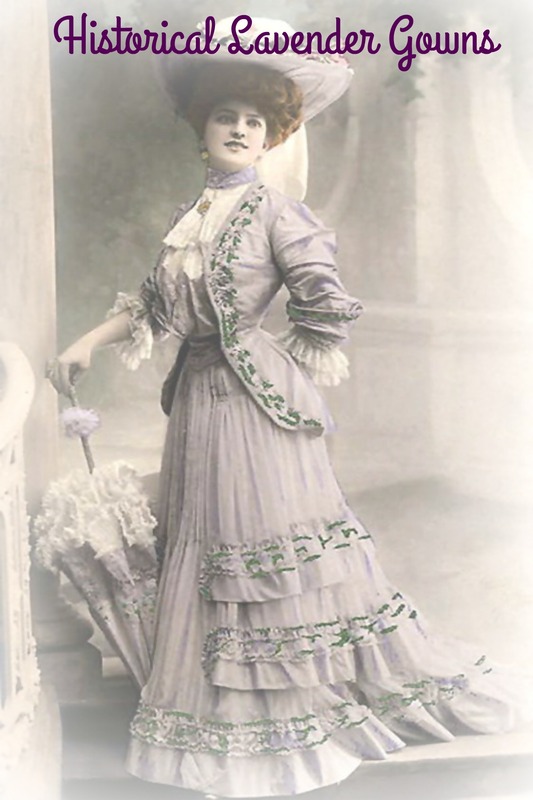 While researching and choosing gowns to feature in this post, I was delighted to see so many examples from a variety of time periods. 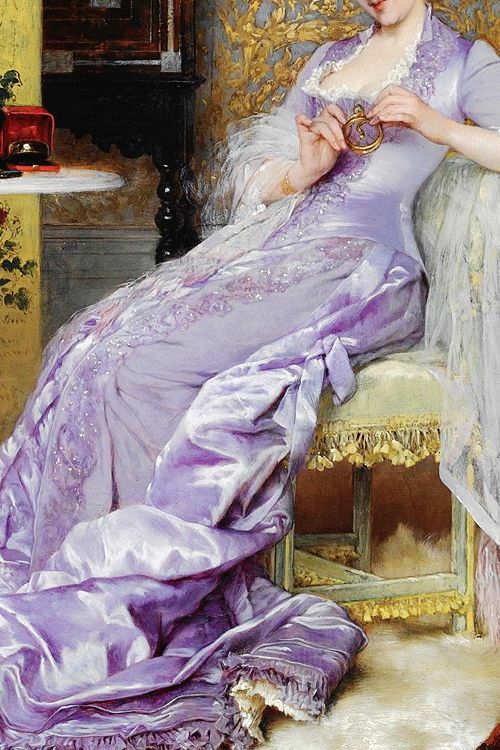 It seems woman through out the past two hundred years have also seen the appeal that lavender has to offer. 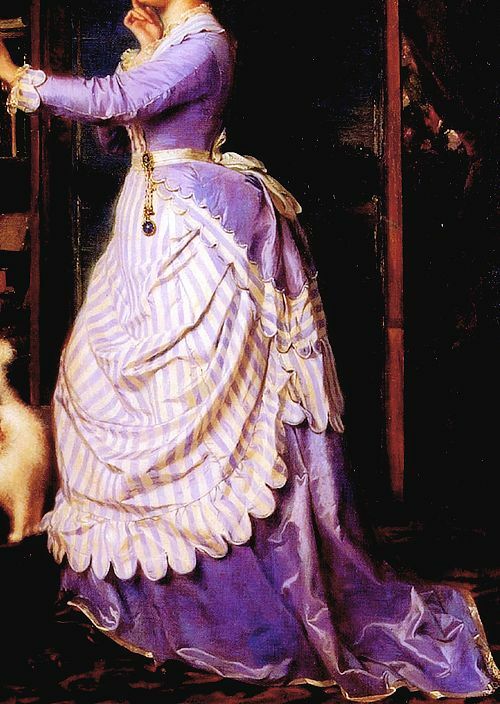 While two of the three are trimmed in darker purple tones, they are overall wonderful examples of lavender gowns. With so many beautiful examples, it was (as usual) hard to choose ones to highlight, so as always, make sure to hop over to my Pinterest Page to see more gowns. 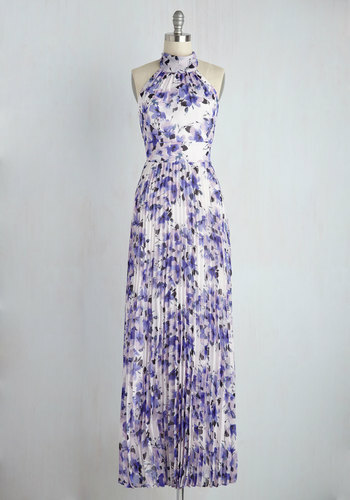 Looking for a modern lavender gown to wear now? My favorite right now is this long maxi dress from ModCloth. Absolutely gorgeous!! Lavender is a lovely color and I think it’s prefect for spring because it’s colorful but not too over powering as summer colors can be. It also a color that can occasionally show up in winter because of it’s cool tones. 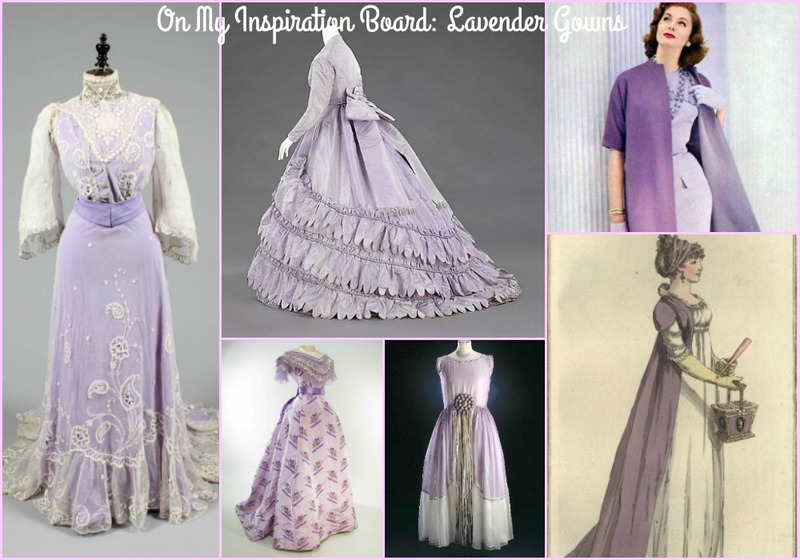 Thanks for sharing these wonderful lavender examples. Thank you so much! 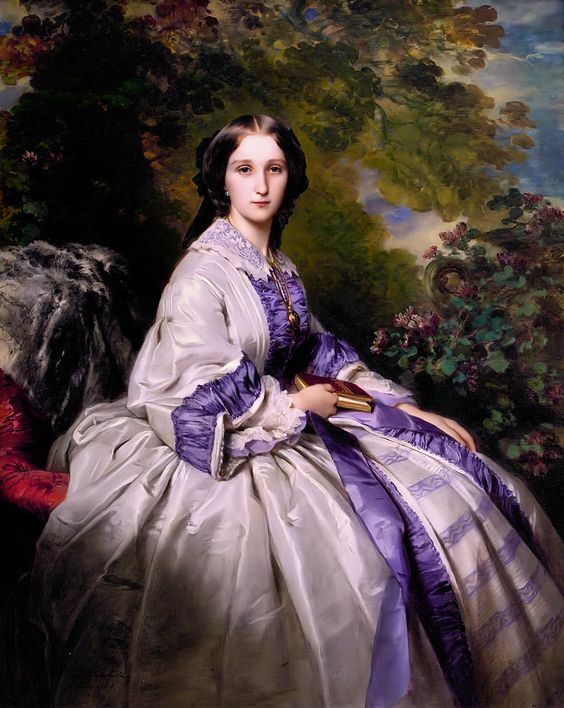 I am glad you enjoyed it and I completely agree about the lovely tone of lavender!